Remember Invader Zim on Nickelodeon? Do you remember that cartoon, because it was not on the channel for very long. 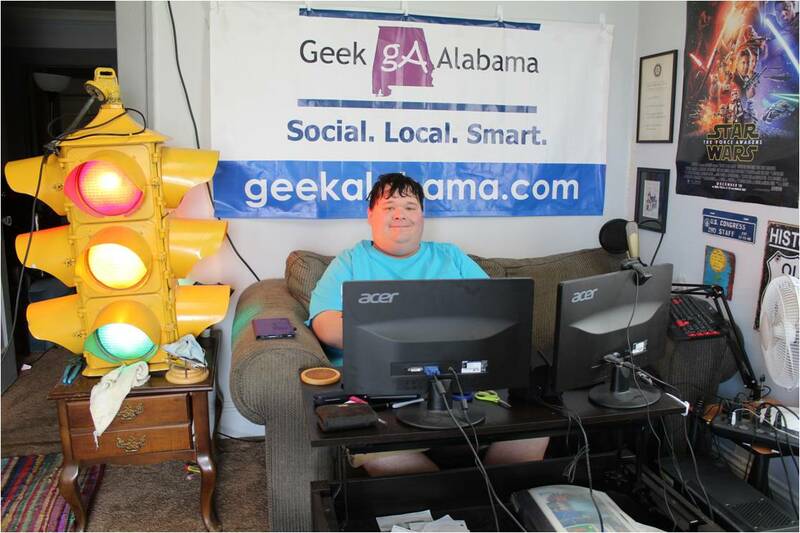 But, for the time that it was on, it gained quite a few fans, especially those on the autism spectrum. 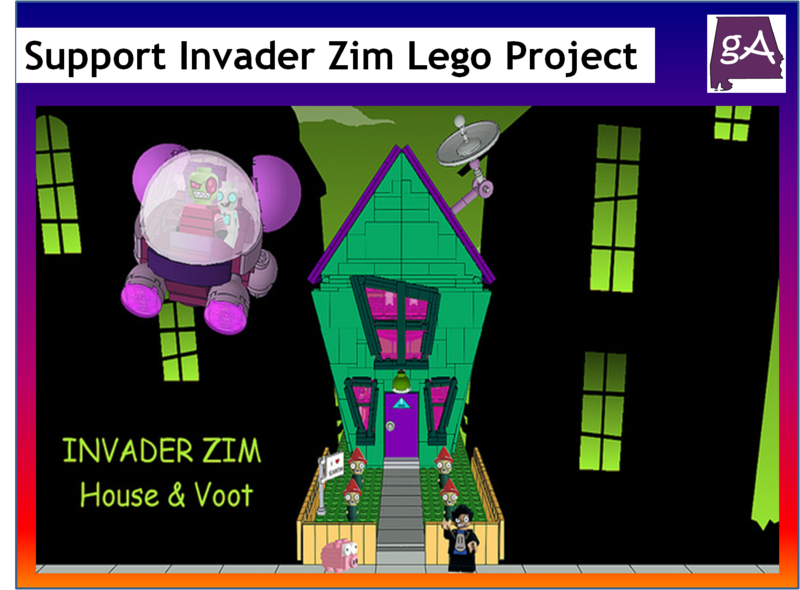 So, if you want to remember Invader Zim in Lego form, then you need to check out this Invader Zim House and Voot Lego Cuusoo project. So how does Lego Cuusoo or Lego Ideas work? The supporters have submitted the project on the Lego website. And you only have a certain amount of time to get 10,000 supporters, or the project starts all over again. In the case of the Invader Zim project, they must get 10,000 supporters by April 30th. Once the project gets to 10,000 supporters, the folks at Lego will look and review the project. And if they like it, and can make it, the project will be made and will go onto store shelves! 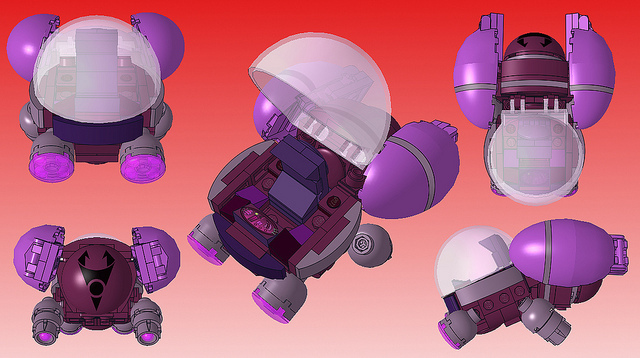 1 Zim minifigure with 2 heads (alien form head and human disguise head) and backpack (life support unit?). The legs that will be used are the mini legs, not the bendable hip joint ones since Zim is supposed to be the size of a child. 2 Gir micro minifigures (one in robot form and the other in dog disguise) and a big plate of waffles. “These ones got peanuts and soap in em!” – Accessory is inspired from the episode “Zim eats waffles”. 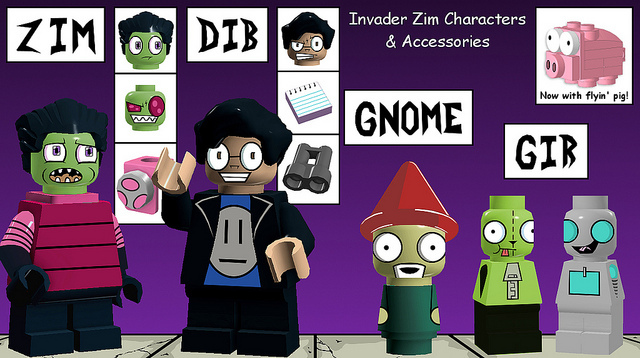 Using micro minifigures for Gir will make him the perfect size compared to Zim. 1 Dib minifigure with binoculars and notepad. “”Time for some serious notes!” – Accessories inspired from the episode “Dib’s wonderful life of doom”. The legs that will be used are the mini legs, not the bendable hip joint ones since Dib is supposed to be the size of a child. 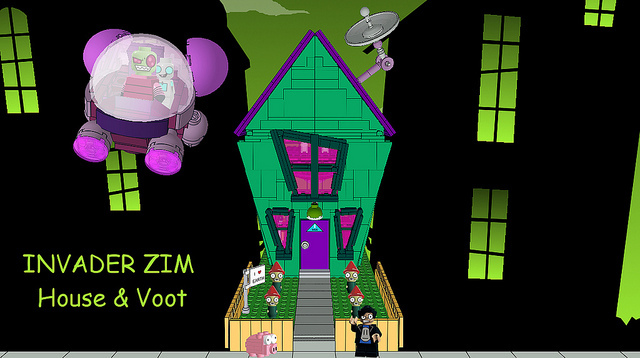 Voot Cruiser with enough space inside for Zim and Gir to stand. The engines are also rotatable and there is a printed Irken symbol on the back of the ship. The cockpit also has a computer console for manual control of the Voot. Zim’s house with opening roof to store Voot. The house also has opening sides for playability inside. They did a version with power absorbing pipes on the sides, but due to ease of playability with the opening sides, part count and aesthetics, they changed the design to include power absorbing pipe stickers (or printed pieces). Voot roof storage compartment includes pipes, computer screens and a landing pad. There is also a clear docking station so the Voot appears to be floating and locks in place so you can play inside the house without it moving around. They have been huge fans of the “Invader Zim” cartoon since it premiered in 2001 and this show is the inspiration for his username, buggyirk. Nickelodeon only produced 1.5 seasons worth of episodes, but it continues to have a loyal fan base that is thirsty for more. This Cuusoo project is a collaboration between his wife and himself. Her username is jiminyc. She designed the minifigures. She also drew the characters, accessories, printed pieces, and stickers. 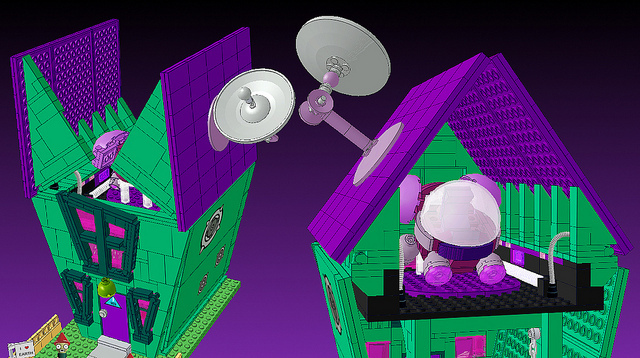 He designed the Voot cruiser and built it with real pieces to test the sturdiness and playability, but he had to design the house in LEGO Digital Designer due to the lack of pieces in his collection. He rebuilt these both in the software LeoCAD so he could do custom coloring in MLCad. He had never used LeoCAD or MLCad before, so this took some time.